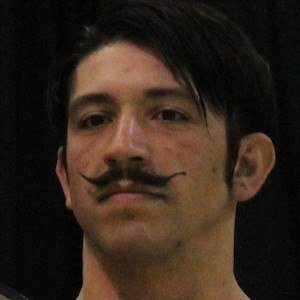 Wrestler who is best known for his time in the WWE developmental territory NXT as a member of The Vaudevillians tag team. He and his partner, Alex English, won the NXT Tag Team championship for the first time on August 22, 2015 at the NXT TakeOver: Brooklyn event. He began competing in the independent professional wrestling circuits in 2002. He competed for various promotions, including All Pro Wrestling and Full Impact Pro. On the November 11, 2015 episode of NXT, he lost the tag team championship to the team of Scott Dawson and Dash Wilder. Throughout his time in NXT, he has become known for his finishing move, The Gentleman's Clutch suplex. He was born as John Smith in Hoboken, New Jersey, where he was also raised. His first tag team championship match came in August 2014 against Kalisto and Sin Cara, which he and his partner lost.